Watch and learn as plants grow! Watch and learn as the plants grow! 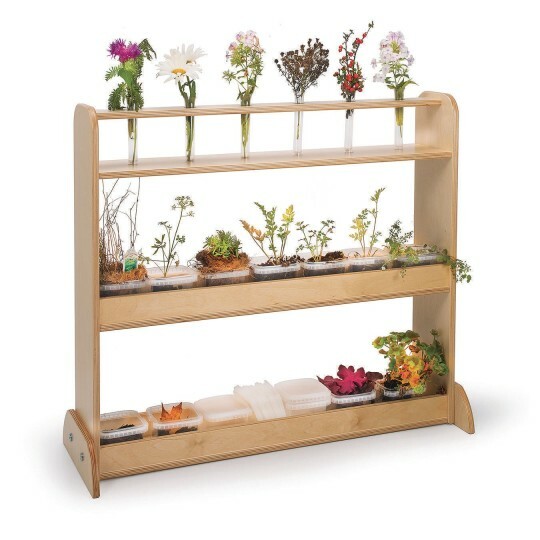 The planting shelf provides an engaging way for children to learn how plants grow as they plant the seeds, water the soil, and follow the evolution of plant life. Constructed in beautiful, durable birch laminate in safe, non-toxic natural UV finish. For indoor use only. Includes 14 small potting trays and 7 tubular flower holders. GreenGuard™ Gold certified. Made in the USA. Lifetime Warranty.